The choir was founded in 1971 by Haslingfield resident Margaret Houghton who studied piano and viola at the Royal Academy of Music in London. The choir’s inaugural concert, with an orchestra of players drawn from the local community, included Handel’s Acis and Galatea, and took place in February followed by Handel’s The Messiah in December of the same year. This was to be the pattern for the next 40 years – two concerts a year, one at Christmas and another in the spring. Shortly before her death in 2010 she was awarded an MBE for her services to choral music in Cambridge. The choir's repertoire is something of which it can be justly proud. There have been performances of nine other oratorios by Handel as well as his opera Acis and Galatea and all four of his Coronation Anthems. As well as performances of many great works such as Haydn’s The Creation, Bach’s Christmas Oratorio, Mozart's, Fauré’s and Brahms’ Requiems, Margaret was also keen to explore less well-known works by composers such as Carrissimi, Honneger, Charpentier, Reinberger, Hummel and Michael Haydn. Through contacts at various Cambridge colleges, notably King’s, St John’s, Trinity, and Clare among others, Margaret was able to include excellent Choral Scholars to sing as soloists at Haslingfield concerts. A number of them later made names for themselves in the wider musical world, such as David Wilson-Johnson (1973), Charles Daniels (1981), Jeremy Hugh Williams (I990), Jonathan Peter Kenny (1993), Lawrence Zazzo (1994), Angharad Gruffyd Jones (1997), Clare Wilkinson, (1998), Andrew Kennedy (1998), Ed Lyon (1998), Elin Manahan Thomas (2000) (who sang at the wedding of Prince Harry and Megan Markle) and Allan Clayton (2003) (who has since played many leading tenor roles at Glyndebourne, Aldeburgh and the Royal Opera House, Covent Garden). Haslingfield Orchestra is drawn from a pool of the best Cambridge musicians, many of them instrumental teachers from the region. In 1982, our accompanist Chris Jones moved to the ranks of the altos to sing and Maurice Hodges, an extremely talented Cambridge pianist, took over. As well as accompanying the choir at rehearsals, Maurice plays bassoon in the orchestra and has also performed in a solo piano role in various concerts, notably in Beethoven’s Choral Fantasy. In October 2010 the choir gave a memorial concert for Margaret conducted by Martin Ennis, Director of Music at Girton College, who had played harpsichord in some of the choir's earliest concerts. Professor Bob Reeve, a recently retired Head of Music at Anglia Ruskin University, stepped in to run the Choir until a long-term replacement for Margaret could be found. He directed the choir in a programme of carols and readings for Advent and in the following Spring, a Community partnership project – In Honour of Mr Purcell – which involved children from Haslingfield School, singers from Anglia Ruskin University and dancers from the Sylvia Armit School of Dance. In December 2011 we gave our first concert under the direction of Graham Walker. 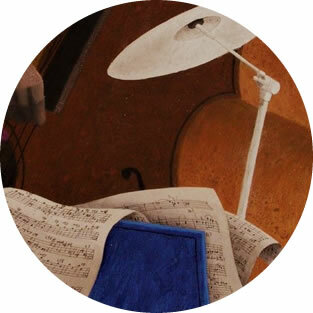 Following his time as a Chorister and Choral scholar studying mathematics at St. John’s College, Cambridge, Graham studied cello at The Royal Academy of Music, London. The choir enjoyed five years under his directorship and pieces performed included Schutz’s Christmas Story, Duruflé’s Requiem, Menotti’s Christmas opera Amahl and the Night Visitors, Mozart’s Great Mass in C Minor and Bach’s St John Passion. We continued to be joined by some wonderful soloists, many of whom have gone on to further success, such as Sam Oladeinde (currently starring in the West End musical Hamilton) and Milly Forrest (critically acclaimed for standing in for a professional soprano at the Wigmore Hall whilst working as an usher!). In June 2017 we welcomed our new Musical Director, Paul Jackson, also a resident of Haslingfield. Paul is a conductor, pianist, musicologist and formerly Director of Music and Performance at Anglia Ruskin University in Cambridge, where he directed the Anglia University Orchestra and Chorus, the contemporary music group Anglia Sinfonia, and Anglia Opera. His first concert was an exciting performance of Britten’s St Nicolas and Vivaldi’s Gloria, followed by a performance of Rossini’s delightful Petite Messe Solenelle, with Rossini's unique accompaniment of two pianos and harmonium. The most recent concert under Paul’s direction, parts 1-3 of Bach’s magnificent Christmas Oratorio, was delivered to a capacity audience. The choir continues to enjoy a reputation for its welcoming attitude to new members and its enjoyment in performing a varied and exciting repertoire. Musically, the combination of Paul and Maurice means that it is in very good hands. It is now well placed to reach out to new members and audiences as it approaches its fiftieth birthday. "I enjoy the company of other people at rehearsals, the skill and friendliness of our conductor Paul and accompanist Maurice, and the opportunity to sing such a wide range of musical works and to present the finished product to an enthusiastic audience."